Painswick Rococo Garden is a unique 18th century garden set in a hidden valley with lovely views of the surrounding countryside. Painswick Rococo Garden was designed in the 1740s as an English country gentleman's pleasure garden, a place for holding intimate garden parties. Laid out in a hidden valley around Painswick House, the Garden is now the country's only complete surviving rococo garden. Since 1984, an ambitious restoration programme has transformed the Garden from a woodland wilderness into a stunning place to escape the busy world. 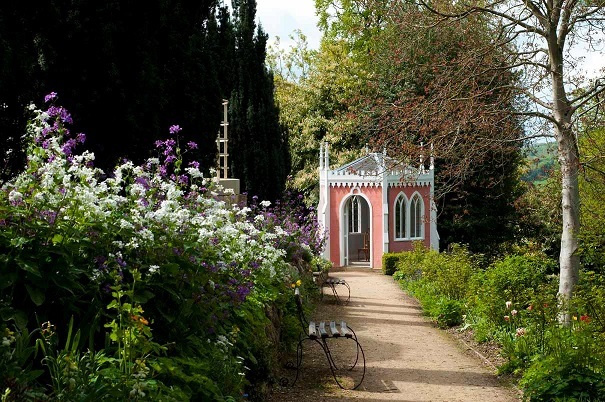 Enjoy beautifully-framed views or snuggle in one of the fanciful garden buildings. Battle to find the centre of the unusual maze and enjoy homemade food in the cafe afterwards. The Garden is famous for its snowdrop displays in winter, usually February (see website for more info). 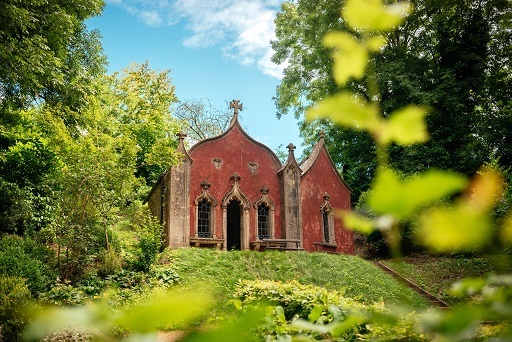 2019- Painswick Rococo Garden - Open 10 January - seee website for full details. Refreshments, plant sales, shop, some disabled access. Well behaved dogs on leads. If you want to take a break near Painswick Rococo Garden, why not stay in one of our recommended hotels. Each hotel has genuine guest reviews enabling you to book from anywhere in the world in total confidence. Look now - click here.